Unless you're a keen advocate of the modern 'tiny home' movement, or simply someone who relishes in confined and limited living quarters, having a good amount of space in and around your home is likely to be one of your interior design priorities. In our fast and busy lives, we all crave a little more space, and having access to it within our homes, whatever its size they may be, is a crucial ingredient. Looking at it in an even more practical and pragmatic way, space is truly essential if we want our homes to function, and function well. If you're craving a little extra space in your home, you're not alone. Modern apartments and urban living can put real constraints on the amount of room we have to move around in. Still, no matter how small or compact our homes might be, we've always got options and ways to work around it. Today on homify, we're taking a timely look at how to maximise space in and around your home: here are six fabulous examples of what's possible. Take stock of your spaces, take a few of our guiding suggestions on board, and work your way to a domestic setting that is guaranteed to give you far more room to move. It can be easy to overlook, but one of the most obvious untapped space-saving options almost always lurks beneath the staircase. Under-the-stair storage is a fantastic way to leverage an existing structure in the house and make it work for you in more ways than one. Here, we see a classic example of how to use the area under the staircase to maximise your home's living spaces. 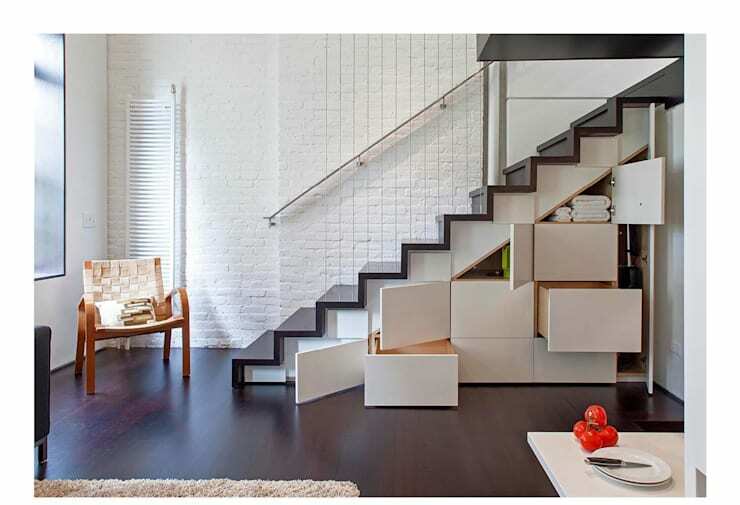 if the stairs are filled in and solid, consider drawers and cupboards like these. If it's open and free, perhaps install a feature storage container, or simply work with the open space in a more free-form fashion. Either way, the space is there to be used, and it will surely make all the difference. Do you have a verandah or deck space that hardly gets used? So many homes these days are blessed with additional outdoor spaces that might seem nice aesthetically, but don't match so much when it comes to functionality. 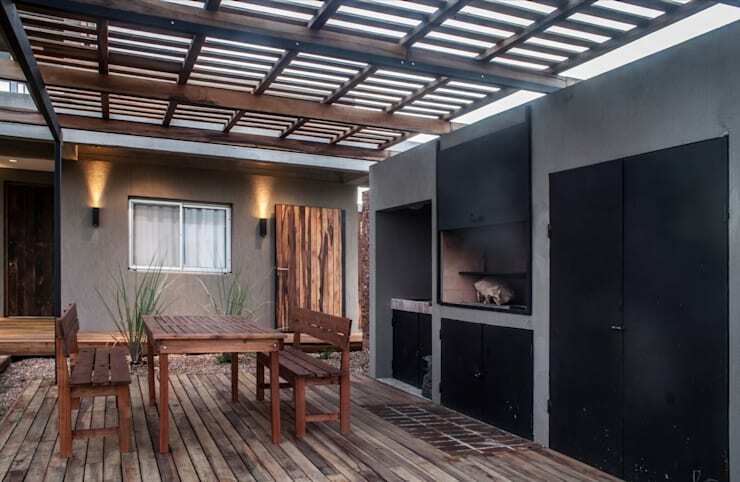 Traditional outdoor spaces like the common verandah can be easily transformed into something that offers so much more in terms of functional versatility. In this great example here, an otherwise exposed and limited verandah becomes almost a garden room or conservatory with the provision of a fully functional, weather-proof ceiling. Better yet, the transparent ceiling grills work to keep the area illuminated with ample daylight. Overall, this is a great way boost your options and take the burden off the rest of your home's living quarters. At some point in time, we've probably all dreamed of having our very own wine cellar beneath our ground floors. For those of us lucky enough to have such a room, or those with the potential to create this sort of space, you might consider turning what would otherwise be a single-purpose space into an area with far more functional options. In this example, we see what may have once been a straight-up domestic cellar room, constructed for the chief purpose of storage, and most likely vintage bottles of red wine. However, the occupants in this case had the foresight to make their cellar space far more versatile, detailing the interior with all the accoutrements and furnishings of a fully functional living space. Couches, a coffee table, and bar with stools make this room so much more than a rarely visited storage cellar—it's a space with life and excitement, guaranteed to be used on a day to day basis. If you happen to be lucky enough to possess a spacious garage or shed area, whether it's connected to the rest of your living quarters or semi-detached close by, then you've got yourself a fantastic option for instantly boosting the amount of space in your home. While some of us relish in our garages and sheds, for most of us, the garage is merely the place where all of our junk and miscellaneous bits and pieces live, out of sight and out of mind from the rest of our domestic interior. Is your garage or shed riddled with stuff that you don't really need? Or is it simply empty and unused, awaiting a new purpose? Why not consider an overhaul or conversion? It might just be the best thing you've ever done. 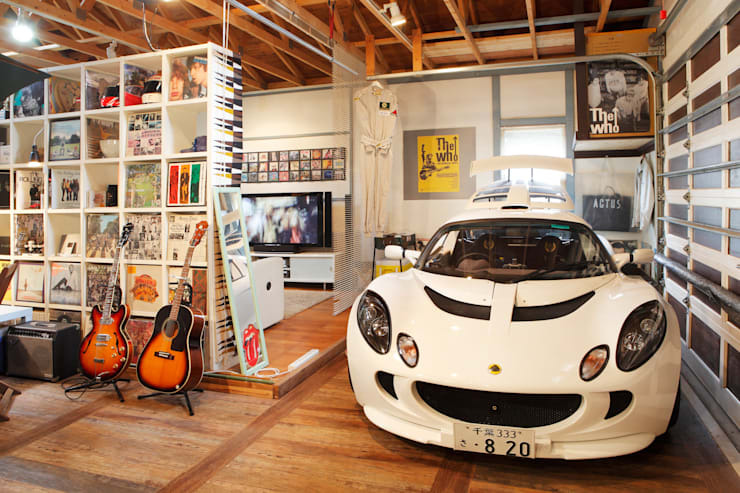 Here's a fabulous example of what's possible: previously, this vibrant and alluring multi-purpose garage space was merely a shell of a room, where the car and other mechanical and household accessories were stored. After a complete overhaul with fresh wooden flooring, a paint job and the installation of new entertainment accessories and furniture, the space now thrives as a secondary living room, study or reading room, while retaining its purpose as a garage. A secondary space like this has a flow on effect on the rest of the home, freeing up other living spaces, making for a breezier, and far more spacious set up. Conversions and overhauls can be intimidating, but they need not be - why not have a chat to a professional for a few tips on how to get started? As below, so above, you might say. While our eyes might be on the subterranean level, let's not forget the abundance of space that lurks above our heads too. 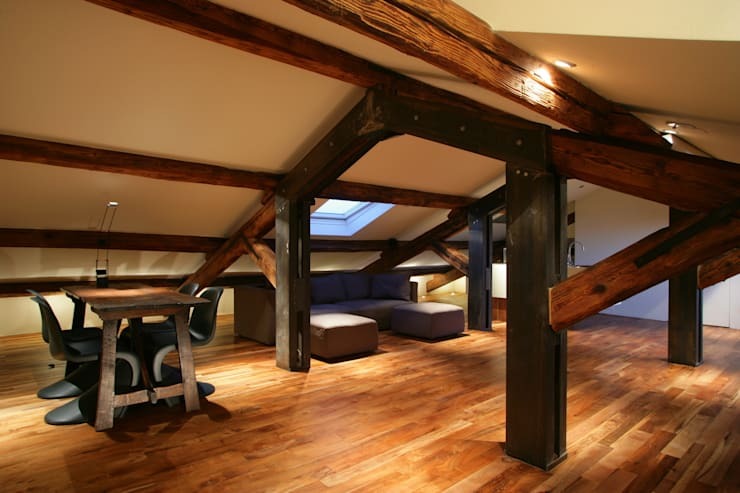 Ceiling space, whether in the form of shallow storage, or indeed a full sized attic, can be an absolute blessing when it comes to optimising the level of space in and around your home. While some of us may not have access to such a fantastic amount of attic space, here's an example of what's possible nonetheless: an ample attic room that has been completely reworked, overhauled of its clutter and mess, and turned instead into a room where you can sit, relax, study and get away from the rest of the home's busier living quarters. A fantastic overhaul. 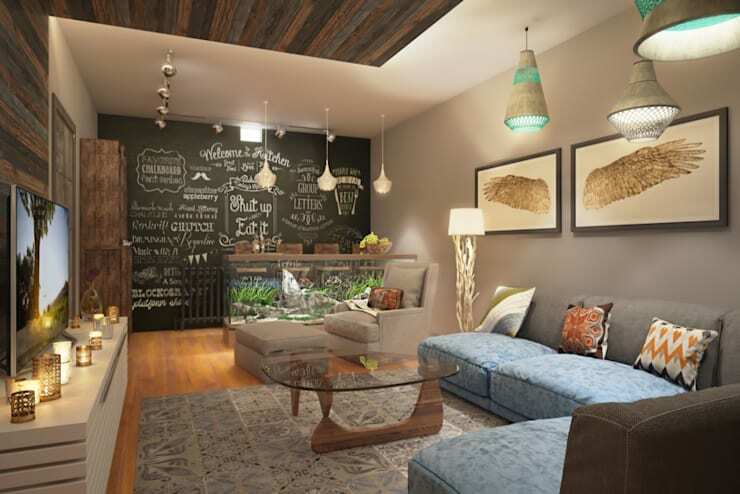 When in doubt, it's always a great idea to make your existing living spaces as multi-purpose as they possibly can be. With so many homes these days enjoying open plan style living quarters, making a space multi-purpose has never been easier. Here's an excellent example: a great, bright and airy kitchen that merges effortlessly with a dining area—two, in fact—one for a more informal, day-to-day setting, and a second one for more formal meals, gatherings and events. 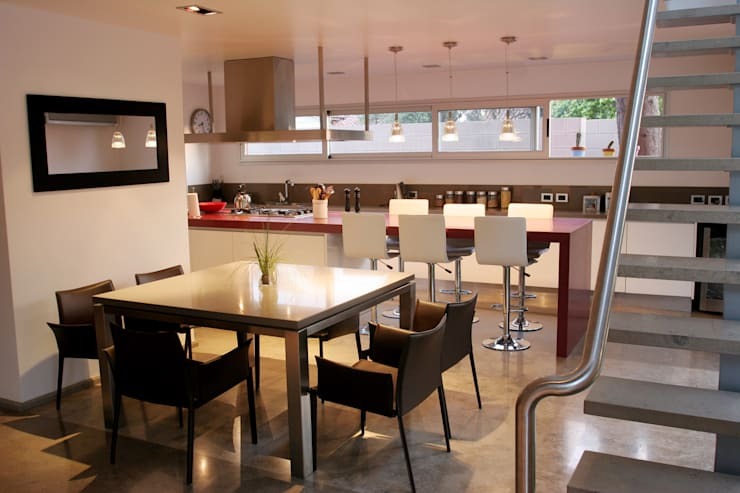 Leverage your spaces, make them multi-functional, and reap the rewards of a far more spacious, and harmonious, home. Did you enjoy that Ideabook? Why not take a look at some more great space saving ideas, starting with Clever ideas for bedroom storage? Do you have any other handy tips on how to maximise space in the home? We’d love to hear from you in the comments section below!